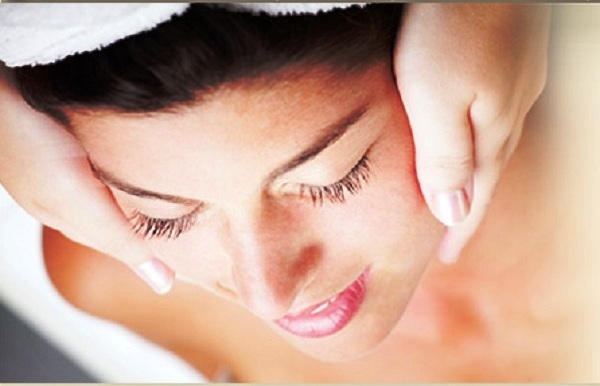 Gymnastics and massage for the face. Volley gymnastics and thermal massage for the face. Look at your face. Do you like yourself? I think many, especially people of the older generation, will remain unhappy with themselves. Gymnastics and massage for the face. Someone will seem that she (he) looks older than his years gone by, someone will sigh when they see the appearance of a wrinkle. But all of us, especially our women, want to keep a young, pleasant face for the rest of their lives. And how do you look after your face? Constantly groom and cherish? No? Then all of your claims only to yourself, although for this purpose a whole branch of beauty is created — cosmetics. Just do not look for a miracle cream, for which now you do not mind any money. Everything you need at your fingertips — in the kitchen, in the bathroom. Remember when you last dealt with your face? And when you were doing volitional gymnastics or doing thermomassage of the face? You have not heard about these procedures yet. It’s a pity! It turns out that these two not very complicated procedures can change your face, giving it an amazing piquancy. They will make your face cute, fervent, cheerful, charming and young. And before it’s too late, let’s turn our faces to our face. Indeed, at a young age, the muscles of the face are elastic, firm and tightened, and the face itself is round. Such it is created by the biocurrents circulating unconsciously in the growth and development of the human body, unconsciously circulating in the muscles. Over the years, if you do not take action, the muscles of the face hang, become flabby, and the face becomes like a baked apple. And we, even taking up recreational exercises, forget about these muscles, we do not train them systematically. They, too, must be dealt with. And the stronger the biocurrent, caused consciously or unconsciously, the muscle is tougher. A saggy, flabby face is a consequence of life «by gravity». So, for the sake of health and freshness of your face, it is necessary to send strong impulses to the facial muscles daily and thereby stimulate the effective metabolism that existed in them before. That is, daily to engage in strong-willed gymnastics of the face. To this end, it is necessary to perform exercises with grimaces for one or two minutes, so that the head trembles. In turn, pull the muscles of the cheeks to the eyes and ears, then the tips of the lips to the teeth. Perform such exercises should be 8-10 times a day. And not only in time of morning washing in front of the mirror, and during the day several times, in places where your grimaces no one will see. In addition, in order to accelerate blood circulation in the capillaries of the facial muscle twice a day should be a thermal massage of the face. For this purpose it is necessary to make two double-layer napkins from a double towel a little more than the size of a face or sew two special large gloves from the same material. During the procedure, one napkin (mitten) is moistened in very hot water and applied for half a minute to the face. After that, for a minute, apply a second napkin moistened in the coldest water (even with melted ice) to the face. The procedure is carried out in the morning and evening 2-3 times. And what kind of water do you wash? Did you know that cold water worsens the skin’s nutrition, causes narrowing vessels, impoverishes blood supply. If you are constantly washed with cold water, the skin becomes pale, dry, wrinkled, flabby. Particularly harmful cold water to women with dry skin. Of course, hot water cleanses the skin, especially fatty, but if you wash with such water every day, it will lead to a persistent expansion of the vessels, weaken their walls, and blood stagnation will occur. On the cheeks, wings of the nose will appear thin branched purplish red vessels. In addition, hot water expands the pores, the muscles of the skin relax, wrinkles appear. It is best to wash with water at room temperature, or even better — contrast: hot — cold. This is a wonderful gymnastics for the vessels of the face. We also note that in tap valves, as a rule, hard water flows. It is harmful for washing, because it over-dry the skin. Such water should be softened: a long boil or apply softening additives. In 1 liter of this water, dilute 1/2 tsp of borax or baking soda or 1 tbsp of glycerin. In order to slow the appearance of wrinkles, you have to wash your face from the bottom up, and eyes — from temples to the nose. It is better not to wipe the face, let the skin dry itself. A few words about the face towel. It should be soft. Do not rub your face with a towel — do promakivayuschie motion.